The creator of The Walking Dead comic book series will be sending another one of his projects to the screen. According to The Hollywood Reporter, Seth Rogen and Evan Goldberg are teaming up to write, direct, and produce an adaptation of Robert Kirkman's Invincible for Universal Pictures. Invincible follows Mark Grayson, a high school student whose father is one of the world's most powerful superheroes. Mark, who has inherited his father's powers, has to learn how to deal with his family history and his own abilities. The comic is Kirkman's second-longest running series after The Walking Dead, which recently aired its seventh season finale on AMC. 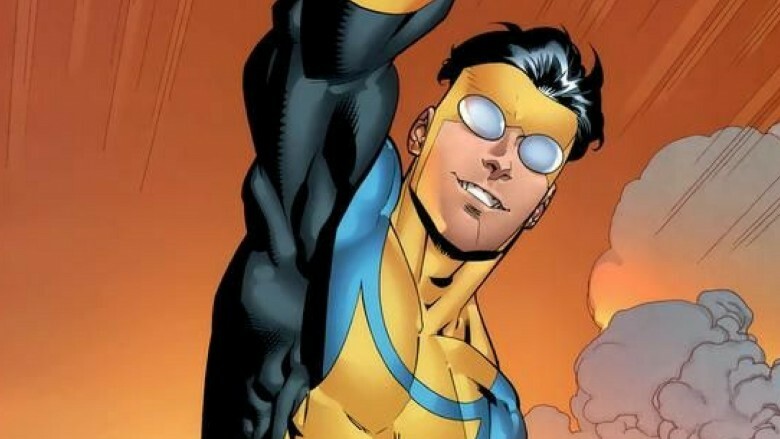 Kirkman will also produce the Invincible movie. "For nearly a decade I've had to endure the 'what about Invincible?' question as fans have watched The Walking Dead grow into the multi-media monstrosity it has become over the years," Kirkman said in a statement. "The answer was always that we were waiting for the right team to partner with. That team has arrived! The esteemed misters Goldberg and Rogen have proven themselves to be top-notch directors with a keen collective eye for stunning visuals after slumming it by writing hit after juggernaut hit. Invincible's surprising, edgy, shocking, and oftentimes blood-soaked story couldn't be in more capable hands. With the team of Rogen, Goldberg, and Universal, I'm very confident this will be another superhero movie in a long line of superhero movies that continues to prove that it's a viable, thrilling genre that will keep people coming to the cinema for years to come." Rogen and Goldberg added: "No matter how much damage it causes our bodies, minds, and our most intimate relationships with those we love, we will not rest until Invincible is as great a movie as it deserves to be." The pair, who also worked together on The Interview and This is the End, already have some experience in comic book fare through their AMC series Preacher, based on the DC character of the same name. There is no word yet on when the Invincible movie will premiere. While we wait, check out some other comic book characters who need a movie.